This series of blog posts will tell you everything you need to know about application insights. 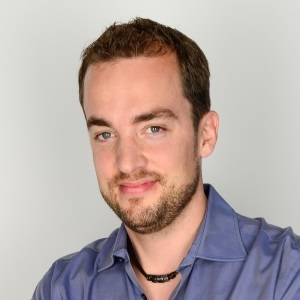 Part 2: Is Application Insights really that “easy to add”? Part 3: Is Application Insights really that “easy to use”? It turns out that the effort required to add Application Insights to your applications is really low. The first step is to go to the Azure Portal (http://portal.azure.com) and create a new Application Insights instance. As soon as the instance is up and running, it is time to add Application Insights to your application or the components of your application. If your application is based on ASP.NET, adding instrumentation is a piece of cake. If you are starting with a new application, just go to File –> New Project, chose ASP.NET and set the checkmark to add Application Insights. 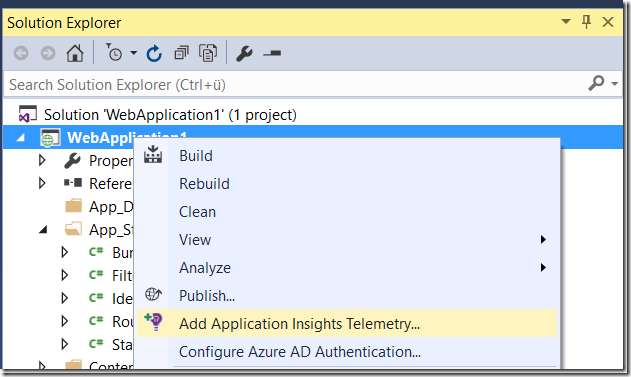 If you are using an existing ASP.NET Project, just right-click the solution and select “Add Application Insights Telemetry”. This will open a dialog that lets you connect your application to an existing Application Insights instance or create a new one. Any other application type can be instrumented by downloading the Application Insights package via the NuGet package manager. Non-.NET applications can be instrumented as well. Go to the GitHub repository and look for the appropriate SDK or, alternatively check your platforms package repository. The blog at http://www.manuelmeyer.net, for example, is hosted on WordPress, which is implemented in PHP. 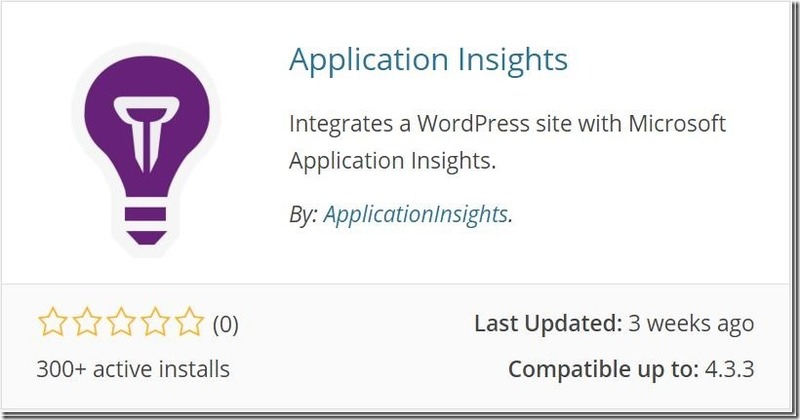 Adding instrumentation was as easy as checking the WordPress Plugin Gallery for an Application Insights plugin and installing it. Didn’t take more than a couple of minutes. So, to answer the question: Yes, it turned out really easy to add Application Insights to my application.